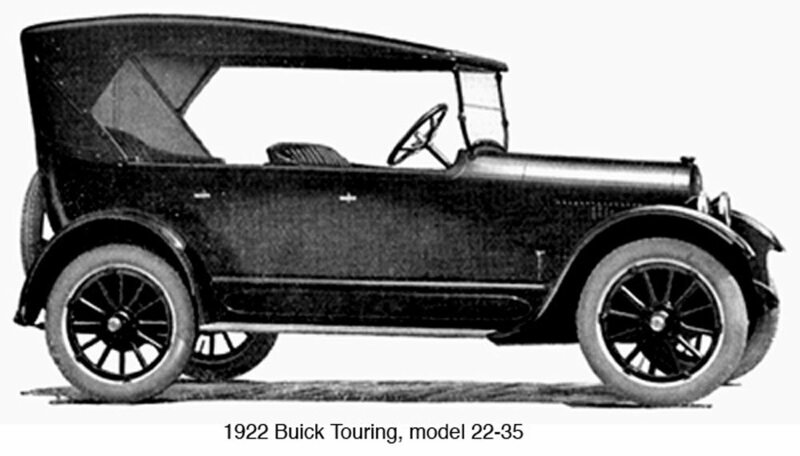 This is the story of one very hard working 1922 Model 22-35 Buick, otherwise known as “Old Faithful”. The car, like many others in the tough times of the 1930?s, was cut down into a utility vehicle and it was in that form when my father bought the vehicle in 1938. We were at that time on a sheep station, between Boorowa and Yass, NSW, where both my mother and father had worked from the mid 1930?s. 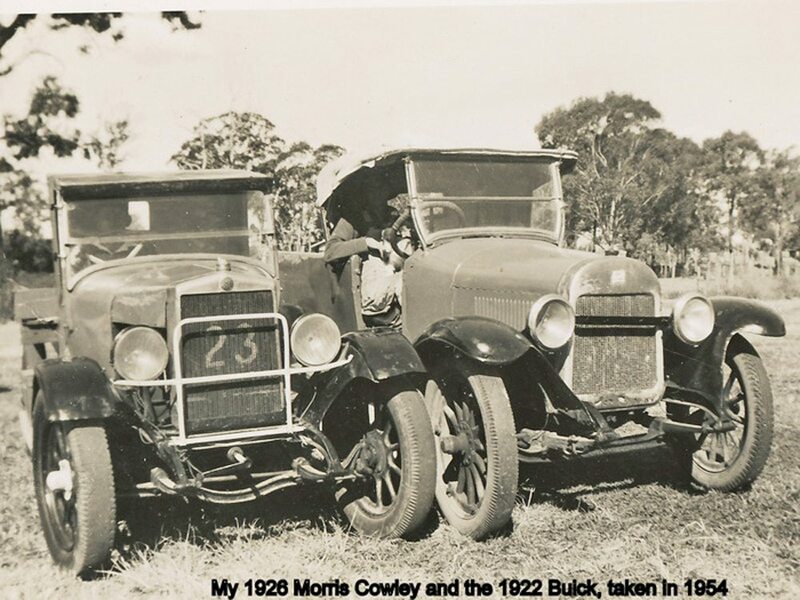 In 1944 we bought and moved to a farm near Bowral, NSW and the Buick carried my parents and I, and all our personal possessions to the new farm. 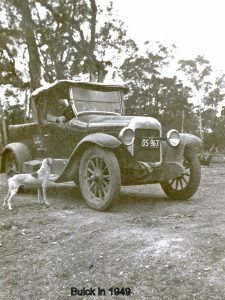 The only stops on the journey, apart from meals were for radiator water, most of which was collected from the roadside gutters most notably from the Breadalbane plains south of Goulburn. 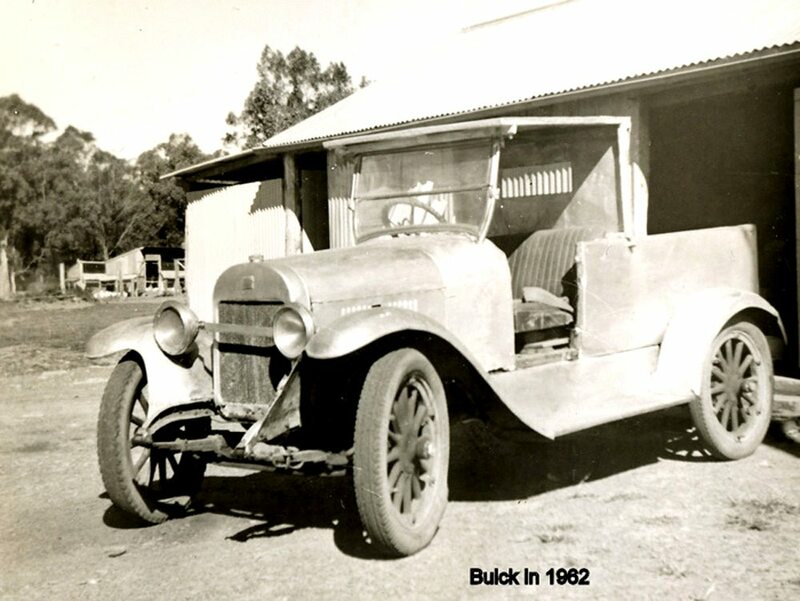 The Buick was then put to even harder work, carrying hand cut bush timber to build farm and poultry sheds. The shed posts and rafters, because of their length were carried on transverse poles placed on top of the utility sides which stuck out either side, and the long timber, as long or longer than the vehicle, was then tied onto each side. Sand and gravel for concreting was also transported via bush tracks from a creek about 4 miles from the farm. As a boy I fondly remember riding in the back holding onto the top of the roof, or riding crouched between the front guard and the engine hood holding onto the headlight frame, more fun than the seat. 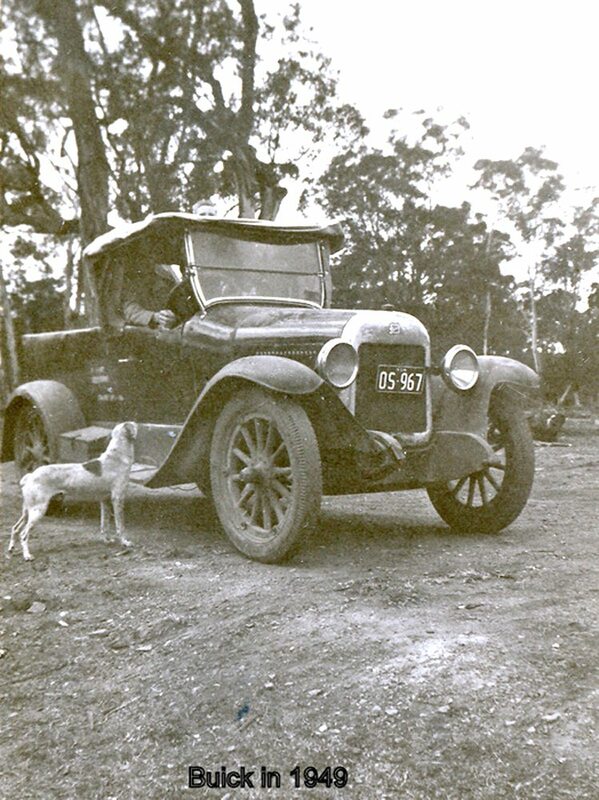 The Buick was our only vehicle until 1950 when it was de-registered and was then used for farm work only. I learned to drive on the Buick in the early 1950?s both on the farm and on nearby dirt roads. It was a great teacher in understanding basic motoring, car and engine (4 cyl OHV) maintenance, what ignition timing is, and with manual advance-retard, hand throttle (“cruise control “) what more could you need ? It may have been the mechanical interest that started with the Buick that led me to a career in Aircraft Maintenance Engineering. About 1960 the Buick got a “hardtop” roof (see picture) made from galvanised iron. It was about this time a brush with a fence post collapsed a front near-side wheel and broke 3 spokes. These were replaced with hardwood square spokes which worked well and can be seen in the picture. Consideration was given in the early 1960’s to restoration, but was not undertaken because of cost. The Buick was sold with the farm when it too was sold in 1965, and ?Old Faithful? continued to work on the farm for the new owners until the engine threw a rod and the vehicle was scrapped around 1970. The rear half of the Buick however did not die, becoming a farm trailer for a few years. So ended almost 50 years of faithful service. I’m pleased I removed and still have the identification plate, a few photos, one hub cap, the radiator badge and the horn, before we sold the farm. 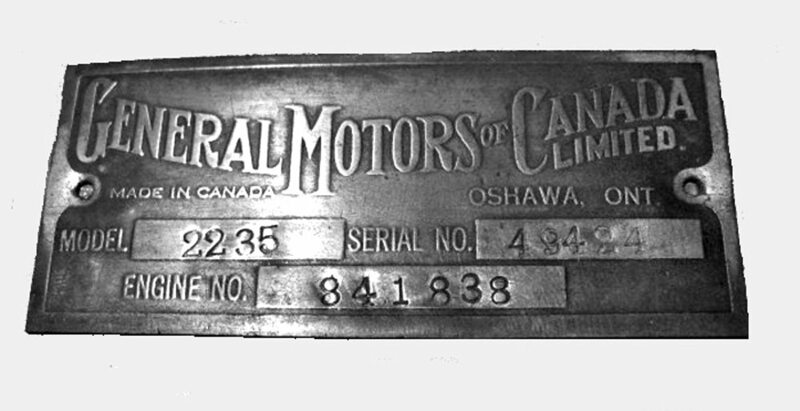 During the early years after the Great War, the Australian Government’s import tariffs favoured imports from British Commonwealth countries so the Australian office of GM Export based in Sydney, sourced all Buicks from Canada. Most of these were not complete cars but came in part assembled and minus any components that could be made locally such as tyres, batteries and the like to further minimise tariff charges. As such, these vehicles were not classified as “McLaughlin” Buicks.